Father Jack will present "The Communal Dimension of Prayer: Supporting the Life of Faith." We will hear from a few parishioners who have participated in small faith sharing groups, and, if you are interested in being part of a small faith sharing group, there will be an opportunity to sign up or start one of your own. Thursday at 7 p.m. in Beckerle Hall. We will also have a wine presentation and discussion on pairings. Ages 21 and over welcome. You're welcome and encouraged to bring your own wine glass. 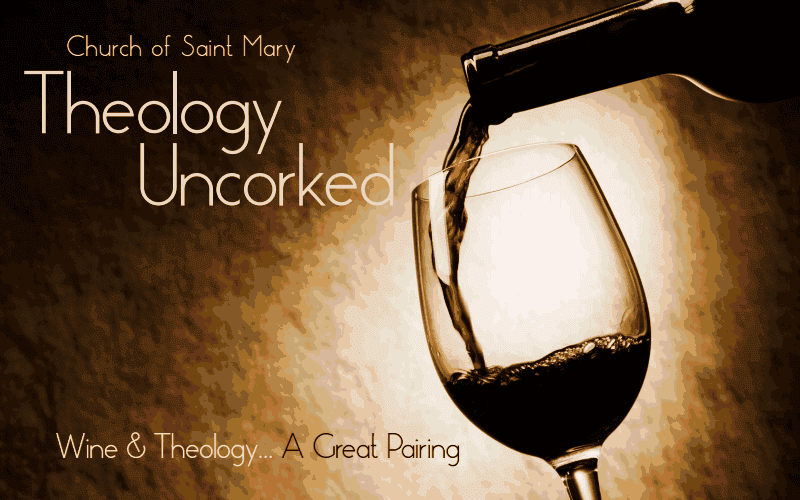 For a schedule of upcoming Theology Uncorked speakers, go here. Please include your name when you comment! We like to know who you are!